Overtime: Ford knows there’s more value learning from failure than success. 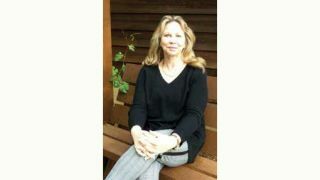 Along with her husband Walt Keller, she successfully reinvented their graphics hardware company as a software company based on lessons learned from its previous incarnation. SCN: At what point did you realize that you were destined for a career in technology? Robin Ford: Like a lot of people, I stumbled into a technology career. It’s been a few decades, but I’ve never looked back. When I moved to Silicon Valley in the early ’70s, my first job was as a receptionist for a company making products for IC fabrication. When I spied some otherworldly looking light tables in the CAD department, I said, “That’s what I want to do.” It looked so darn cool, and I’ve always loved a challenge! SCN: You started your career as a CAD tech. How did that lead you to co-found the Silicon Valley startup GraphOn, a graphics hardware manufacturer? RF: The path was definitely long and winding. I became a CAD tech at National Semiconductor, moving to Intel, and later to Synertek, where I became CAD system manager for the valley’s first IC online design system. I met my husband, Walt Keller, there. He was the original GraphOn founder with three other talented engineers. GraphOn gave me my first shot at my next career goal: sales. I discovered I was pretty good at selling stuff. GraphOn’s highly successful terminal market was crushed when the proprietary leaders of the market, our partners, were caught off guard by the shift to open-standards-based solutions. Walt and I founded the reinvented GraphOn as a software company based on lessons learned from its previous incarnation. It’s true what they say about learning more from your failures than successes. Although, I have to admit that success and winning are way more fun. Partners in business and life, Robin Ford and Walt Zeller are shown here visiting a castle outside Stuttgart, Germany, where they were celebrating the birthday of Wolfgang Lenz, CEO of the European distributor Comm-Tec.SCN: What was it like to re-startup a hardware company in the internet age and dot-com bubble, eventually playing a key role in its IPO? How do you compare the challenges you faced then to the business challenges that technology companies face today? RF: It was exciting and difficult all at once. We reminded ourselves often to enjoy the ride because we were in the middle of “the good old days.” There’s nothing like being in the epicenter of a market right when it hits. The issue with many start-ups is that they’re either too early or too late. We were just right. The business challenges we faced then were pretty much the same or similar to those faced today. Do you raise money or not? Are the market and your business plan conducive to raising capital? Who is the competition? What is your core competency? How do you grow? Where is the market going? I could go on forever. We have done it both ways, with VC money and self-funded. I could easily argue for both cases. SCN: Currently, You are responsible for Global Caché’s strategic road map and product positioning. To date, that has been focused on making it possible for any electronic device to communicate on an IP network. How do you envision the future of commercial AV integration? What types of products and/or services are you looking to solve integrators’ problems with? RF: I work closely with our engineering and marketing teams to ensure we’re on the right path. But more importantly, we listen very carefully to what our partners and customer base are asking for. Without revealing future product plans, we believe there will always be an important necessity for connecting technologies, whether they be hardware, software, or in the cloud. That holds true as long as there are companies that continue to promote their own technologies and protocols, which will be forever. As pioneers in the Internet of Things, Global Caché will continue to offer products that connect other products seamlessly. I think anyone with time in this space can see that commercial AV integrators must become a specialized part of IT integration. Having spent over 20 years in IT, I understand that once you touch the network, you fall under the IT umbrella. There may be temporary workarounds, but I think it’s a foregone conclusion that AV integrators absolutely have to understand the network. They need to work with IT, not against them. In the Unix world, we saw Microsoft coming and chose to ignore the warning signs. I advise AV integrators not to learn the hard way like we did. You will be assimilated. SCN: How does your approach working with various types of industry partners inform your business objectives? RF: Our partnering policy is an enormous part of our company identity and has provided us with partners that are out there every day promoting our product, as well as their own. We decided early on to be an enabling company. Our intention has always been to facilitate our partners’ paths to success. Although we know how to build a software company, we do not offer software. We offer hardware products that allow our software partners to connect to almost anything, furthering their reach and ability to sell more of their own systems. Our commitment to our partners has been one of the key factors for our success. The day my company had its debut on the Nasdaq ….was the day our 18 years of hard work paid off in our overnight success. Scalability and openness are to automation as ….the internet is to a smartphone. The one technology I would take with me to a desert island is … FaceTime, so I could communicate with my family. The best advice I’ve ever received was … to thine own self be true. Nothing to do with tech, but surely the best advice I ever got.